Drawing of Girl and Boy Hugging. The above drawing is about a Girl and a boy who love each other. They can not live without each other. They are hugging each other passionately.The girl is leaning on the shoulder of boy and hugging. The girl is wearing a beautiful short dress and the boy is wearing boxer. Boy is muscular and the girl is beautiful. Both have beautiful hair. 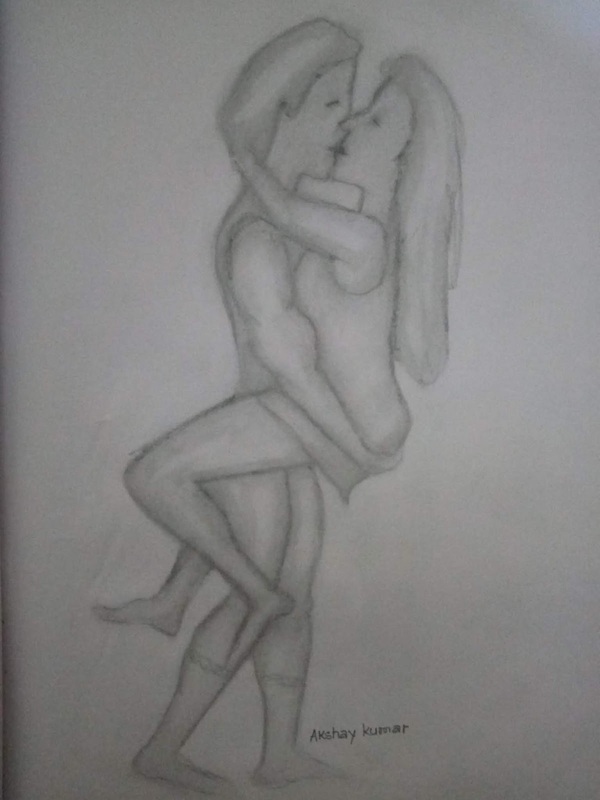 Drawing of Girl and Boy Kissing. The love of the Girl and boy. The couple kisses each other. The boy in the drawing lifts the girl and kisses her on lips. This is a drawing by Artist Akshay Kumar. This drawing is about the lovers. The boyfriend is lifting his girlfriend whom he loves very much. 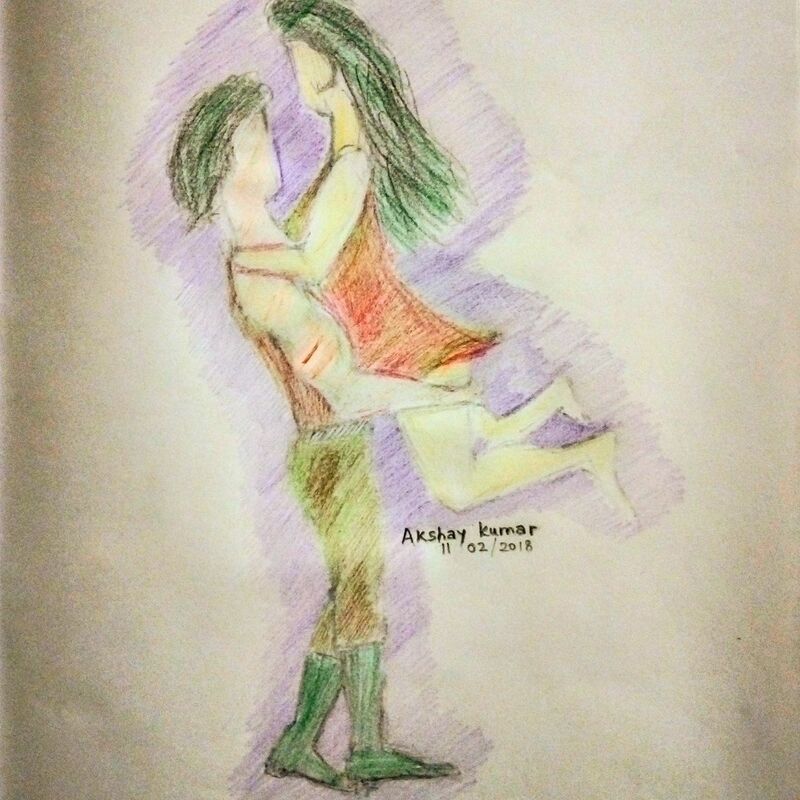 Artist Akshay Kumar has not drawn the face of the couple yet the happiness can be seen in the drawing. The girl seems to be jumping on her lover with full faith on him that he will hold her in his arms and not let her fall. It is a quick Color pencil drawing.